Not only is the SP-BSP alliance posing a tough challenge to the ruling BJP, the Congress is also expected to give a tough competition on a few seats like Saharanpur. File photos of Samajwadi Party president Akhilesh Yadav (L), Prime Minister Narendra Modi (C) and BSP chief Mayawati. Lucknow: The battle for upcoming Lok Sabha elections has begun and the first phase of polling is due on April 11 on eight seats of Uttar Pradesh. Interestingly, in 2014, all these eight seats were swept away by Bharatiya Janata Party(BJP) as Modi wave was at its peak. However, this time, in absence of the euphoria, winning the eight seats is no more a cake walk for the BJP. 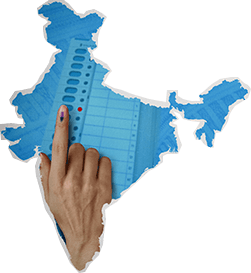 The constituencies going to polling on next Thursday include Saharanpur, Meerut, Kairana, Muzaffarnagar, Bijnor, Ghaziabad, Baghpat and Gautambuddh Nagar. Not only is the SP-BSP alliance posing a tough challenge, the Congress is also expected to give a tough competition on a few seats. In Muzaffarnagar, there is a direct contest between Rashtriya Lok Dal chief and Mahagathbandhan candidate Ajit Singh against incumbent BJP MP Sanjeev Balyan. 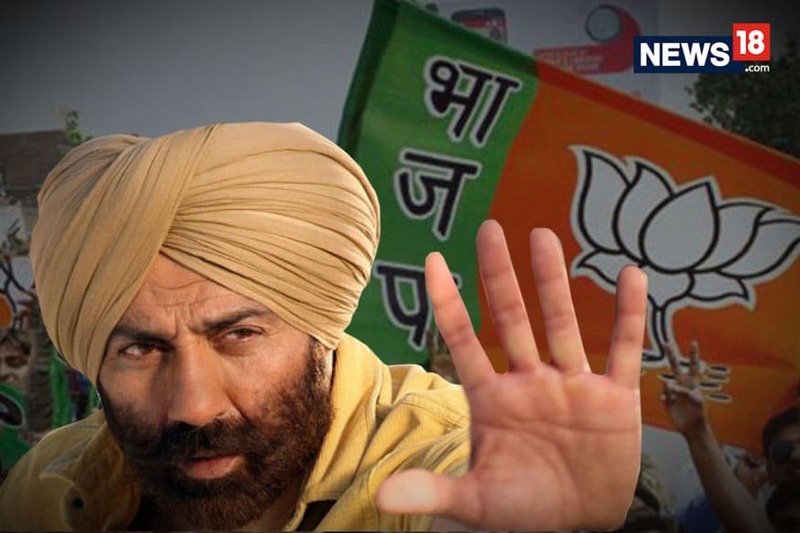 The Jat and Muslim voters have played a decisive role and Singh can be definitely called a strong candidate as Congress has also not fielded any candidate here. The Kairana Lok Sabha seat which sprang into national limelight after SP candidate Tabassum Hasan won in bypolls, is again set to be a close contest. Tabassum had defeated late BJP leader Hukum Singh’s daughter Mriganka Singh in the bypolls. Tabassum is once again the candidate though BJP has decided not to field Mriganka again. Instead, local MLA Pradeep Chaudhary has been named a candidate which though, has caused lot of dissent among the supporters of Mriganka. Meanwhile, Congress has fielded Harendra Malik in this seat. The story on Saharanpur parliamentary seat is triangular among BJP, Mahagathbandhan and Congress. Incumbent MP Raghav Lakhan Pal will once again be the BJP’s candidate. Pal had won the seat by a margin of 65,000 votes in 2014 during the Modi wave. However, in case of Saharanpur, Congress candidate Imran Masood is said to be giving direct fight to Pal. The only concern for Congress on this seat can be the SP-BSP alliance candidate Haji Fazl-ur-Rehman who might cut into some of the minority votes which might directly help the BJP candidate. Meanwhile, in adjoining constituency Bijnor, former BSP leader and Congress candidate Naseemuddin Siddiqui is pitted against BJP candidate and incumbent MP Kunwar Bhartendra Singh. The SP-BSP alliance candidate is Maluk Nagar. As Bijnor has a significant number of Muslim, Dalit and Gurjar votes, the main issue for the alliance candidate will be to set the right caste equation to ensure BJP’s defeat. Meerut, located at the heart of western Uttar Pradesh, is a BJP bastion and once again the party has fielded its two-time MP Rajendra Agarwal. Congress has fielded Harendra Agarwal, another Vaishaya, making the competition tough as the constituency houses decisive Jat and Vaishya population. The alliance has fielded former BSP MP Haji Yaqoob Qureshi, who can gain if Congress candidate cuts into Vaishya votes in this constituency. In Baghpat, which is also known as the Jatland of the state, the SP-BSP alliance has fielded RLD national vice president Jayant Chaudhary and as per Congress’s special gesture to the Mahagathbandhan in seven seats, has not fielded any candidate. It will be a direct contest between BJP’s incumbent MP Satyapal Singh, an IPS and a former commissioner of Mumbai Police. In 2014, RLD chief Ajit Singh had contested from Baghpat but stood at third place. Taking a lesson out of his father’s fate, Jayant Chaudhary is leaving no stone unturned to get this seat in his kitty. The upscale Ghaziabad parliamentary constituency which comes in the National Capital Region (NCR) was bagged by BJP’s General (retd) VK Singh. The Ghaziabad seat which is also considered as a VIP seat will be seeing Congress candidate Dolly Sharma and alliance candidate Suresh Bansal, as well. The fight here is said to be between BJP and the Mahagathbandhan, though observers give BJP an edge on this seat. Gautambuddh Nagar which houses Noida, which came into existence in 2008, was won by Union cultural minister Mahesh Sharma in 2014. Though, the seat was won by BSP candidate Surendra Singh by defeating BJP’s Mahesh Sharma by a margin of around 2 lakh votes in 2009, the seat looks to be a slightly aligned to BJP. On befalf on Congres thes alliance has fielded Satveer Singh who is considered as a strong candidate, as well, as the constituency houses significant amount of Thakur and Gurjar voters. Meanhwile, Congress has fielded Mahesh Singh Chauhan from this seat.